Located at the heart of London. This property lies just a short distance away from the area's iconic cricket ground. Guests can explore the city's main attractions with ease, including the London Eye, Buckingham Palace, the Tate Modern and Nine Elms. The O2 Brixton Academy is just a few minutes' walking distance away. This modern hotel greets visitors with warm hospitality and excellent service. Comfortable, stylish accommodation options offer a high level of comfort offering a warm relaxing feeling; they are equipped with WI fi. Coffee makers, hair dryers, and safe. Guests invited to enjoy a superb breakfast in the mornings, for a great start to the day. The property's facilities and services have been designed with a focus on customer satisfaction. 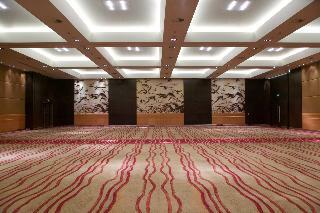 Hotel provides a meeting room with a capacity for 40 people. With its central location and impeccable service, the hotel is the ideal choice for staying and with direct access to many attractions, it is the perfect getaway. 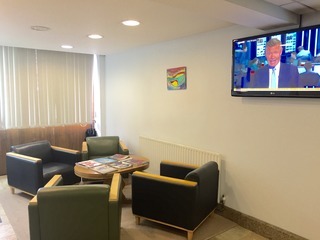 This popular city hotel offers modern and comfortable rooms as well as good transport links, making for an excellent base for both business and leisure travel to London. The functional rooms are simply furnished and equipped with a handy tea kettle, LCD television and air-conditioning. The hotel is situated on the southern bank of the River Thames, just a ten-minute walk from Vauxhall tube and train station and just outside of the central London congestion charge zone. The central business district, West End theatre district and sights such as Buckingham Palace and Leicester Square can all be reached in just a short tube ride. The hotel also offers onsite parking for added convenience. 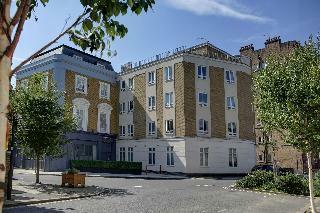 Best Western Plus® Vauxhall Hotel lies south of the River Thames, in central London. It's less than half a mile from Vauxhall station, where you can hop on a Victoria Line Tube to Victoria or Oxford Circus or catch an overland train to London Waterloo. Buses to Parliament Square stop near the hotel. 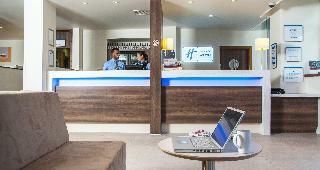 The hotel's contemporary, boutique stylish lobby makes a good working space for informal meetings. The hotel is just four stops from shoppers' heaven on Oxford Street. Half an hour's walk along the river takes you to the London Eye for panoramic city views, while a stroll over Vauxhall Bridge brings you to Tate Britain. This simple hotel is set in Vauxhall. With a total of 1 accommodation units, this is a nice place to stay. 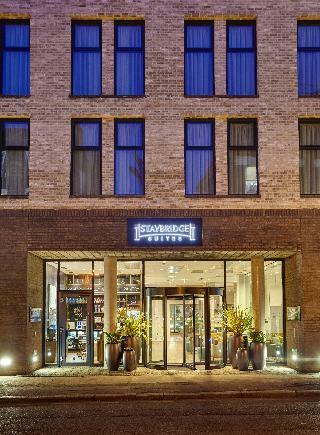 A comfortable central London hotel offering suites for longer stays with kitchens and free Wi-Fi In a quiet street, Staybridge Suites® London - Vauxhall hotel offers apartment-style accommodation five minutes' walk from Vauxhall's bus and Tube stations, with fast connections all over the city. You can take the River Bus from nearby St. George Wharf to the O2 concert arena or ExCel London exhibition centre, a trip that passes the London Eye and Big Ben. You can hold meetings on site in The Den, a smart space for up to 14. A 52-inch TV with a wireless connection helps take the stress out of presentations. Major exhibition venues like Olympia and Earl's Court are less than five miles away. You can get to outdoor events on the South Bank or concerts at the Southbank Centre on foot in 25 minutes. The open spaces of Hyde Park and the world-class collections at Kensington's Science Museum and Natural History Museum are 15 minutes' Tube ride away. A daily breakfast buffet is included, or you can get moving with a workout in the fitness centre. Stock up on groceries from The Pantry, open 24 hours, and prepare dinner in your suite's fully equipped kitchen. If you're up late, the free laundry is also open 24 hours. Don't miss the midweek Manager's Social, with free drinks and the chance to network with your neighbours. A lovely hotel.staff.warm and friendly.a great experience.